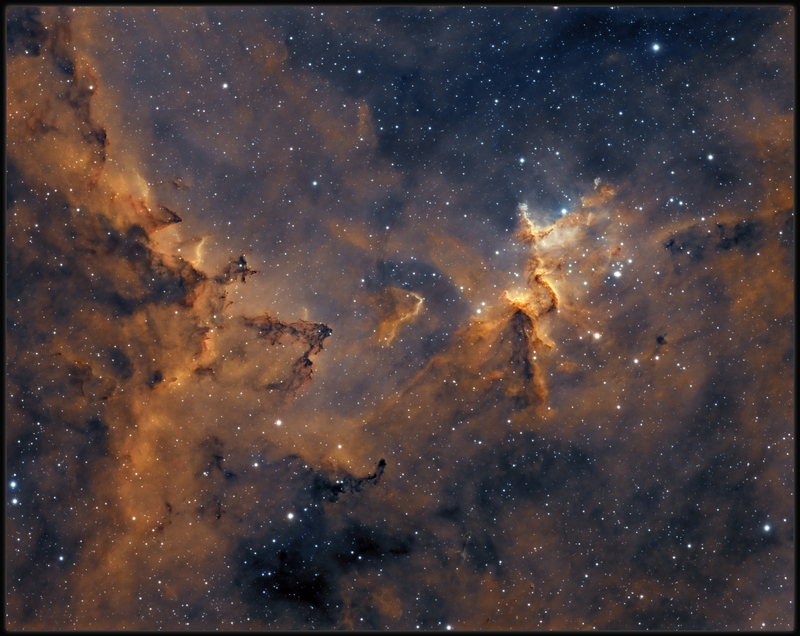 Sharpless 188 by KG Observatory. Mapped Ha, SII, OIII to Red, Yellow, Blue. Sharpless 188 (SH2-188, Simeis 22 or the Dolphin Nebula) is an unusual planetary nebula in the galactic disk, approximately 850 light-years away from Earth in the northern constellation of Cassiopeia. When a star with a mass up to eight times that of the Sun runs out of fuel at the end of its life, it blows off its outer shells and begins to lose mass. This allows the hot, inner core of the star (collapsing from a red giant to a white dwarf) to radiate strongly, causing this outward-moving cocoon of gas to glow brightly. Planetary nebulae last for only about 10,000 years, a fleeting episode in the 10-billion-year lifespan of Sun-like stars. So, over the next several thousand years, SH2-188 will gradually disperse into space, and then the white dwarf will cool and fade away for billions of years. 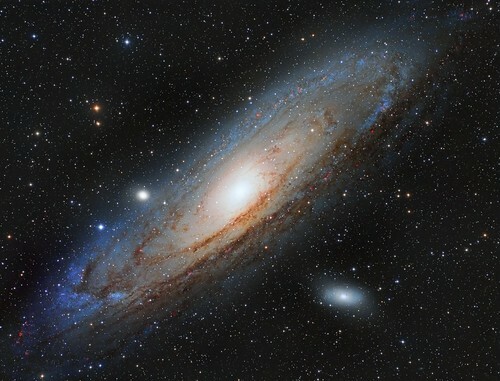 Our own Sun is expected to undergo a similar fate over about 5 billion years from now. 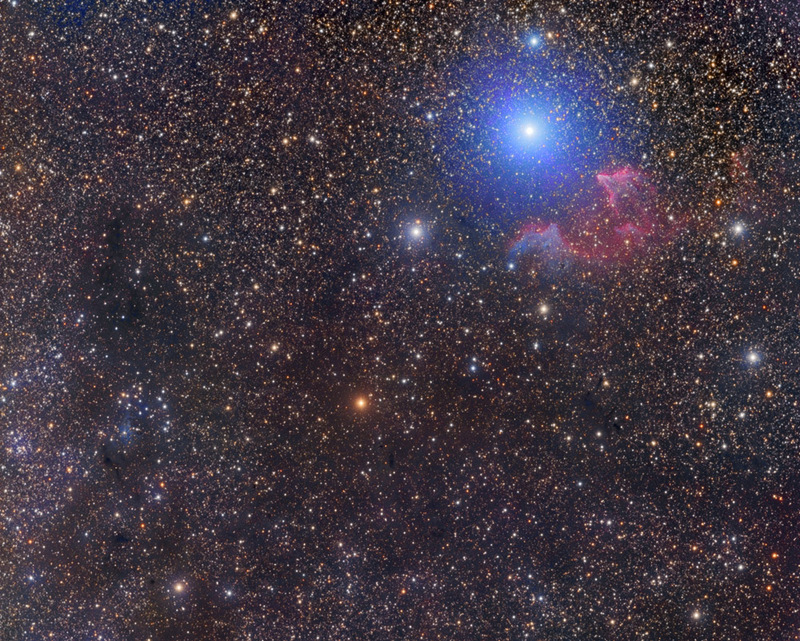 The expanding gas from SH2-188 has a nearly circular shape, but is much brighter to the southeast (lower left). This is because the rapidly moving central star – at about125 km/s – is s creating a bow shock in that direction in the surrounding interstellar medium. Faint wisps of gas can also be seen in the opposite direction, which will eventually dissipate away. SH2-188 is considered to be one of the best examples of interaction between a planetary nebula with the interstellar medium. Done with Skywatcher Esprit 80, Moravian G2-8300 and Astrophotography Tool. Done with Skywatcher Esprit 80, Moravian G2-8300, Canon550Da,TS 90/500 ED and Astrophotography Tool. camera: Olympus E-PL6 clearglass modified, lens: Samyang mFT135/2 at F/2.2 ISO800 60 sec. 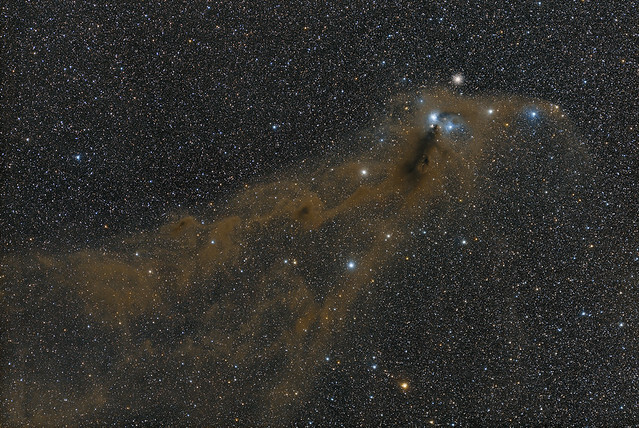 This widefield image of the area around Gamma Cassiopeia includes IC59/63 (Ghosts), NGC225 (Sailboat Cluster), and vdB4 (which to me looks like Bull horns). Located between the bottom of Orion's bow and the more popular Witch Head nebula, lies this little and often overlooked gem. 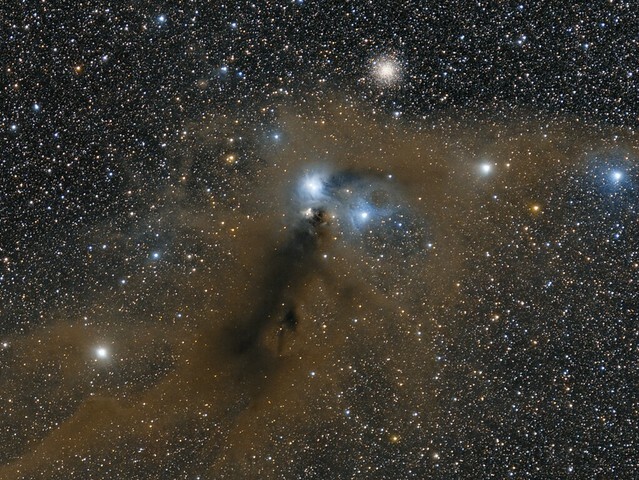 Situated at the end of a molecular cloud, this reflection nebula is lit from within by the light of newly formed stars. 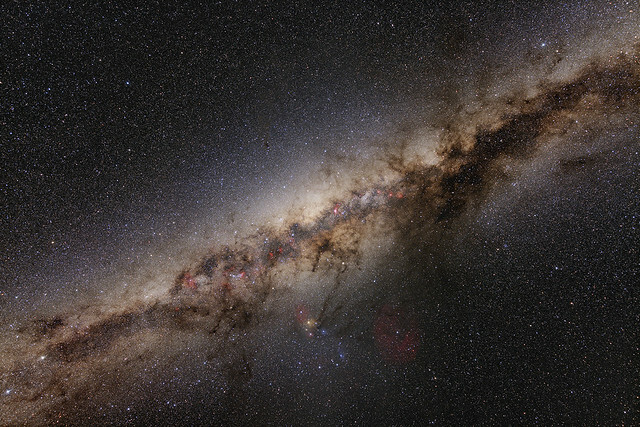 Researchers agree that some of these stars have only been shining for a million years. They really are in infancy. 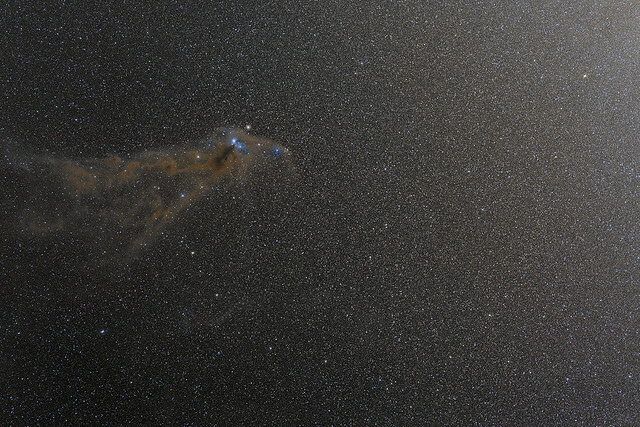 A rather diffuse emission cloud of hydrogen alpha arcs below this framing of the nebula. At 1300 light years, this whole scene is actually fairly close to us and interestingly is estimated to be the same distance as the nearby Great Orion Nebula, M42. I have gotten several comments that this should be called the Mini Orion Nebula.